Using the 2015 National Financial Capability Study dataset, this study examined the association between race/ethnicity and the use of alternative financial services (AFS) with the moderating role of financial knowledge. Results showed that blacks were more likely to use payday loans, pawnshops and rent-to-own stores than whites. Further, Hispanics were more likely to use payday loans and pawnshops, while Asians/others were more likely to use payday loans compared to whites. 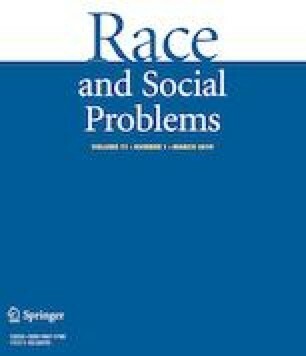 The level of financial knowledge influenced different types of AFS use among racial/ethnic groups in a different way with a stronger moderating effect of financial knowledge on blacks and Hispanics than for whites. This study supports the important role of financial knowledge, especially for minority groups that need further attention for researchers. Brevoort, K. P., Grimm, P., & Kambara, M. (2015). Data point: Credit invisibles. Washington, DC: Consumer Financial Protection Bureau. Retrieved from https://files.consumerfinance.gov/f/201505_cfpb_data-point-credit-invisibles.pdf. Council of Economic Advisors. (2016). Financial inclusion in the United States. Washington, DC: Author. Retrieved from https://obamawhitehouse.archives.gov/sites/default/files/docs/20160610_financial_inclusion_cea_issue_brief.pdf. Federal Deposit Insurance Corporation. (2012). 2011 FDIC national survey of unbanked and underbanked households. Retrieved from http://www.fdic.gov/householdsurvey/2012_unbankedreport.pdf. Federal Deposit Insurance Corporation. (2016). 2015 FDIC National Survey of unbanked and underbanked households. Retrieved from https://www.fdic.gov/householdsurvey/2015/2015report.pdf. Fox, J. A., & Guy, E. (2005). Driven into debt: CFA car title loan store and online survey. Washington, DC: Consumer Federation of America. Retrieved from http://s1.downloadmienphi.net/file/downloadfile4/192/1390746.pdf. Garcia, J. (2010). The color of debt: Credit card debt by race and ethnicity. Dēmos. http://www.demos.org/sites/default/files/publications/FACTSHEET_TheColorofDebt_Demos.pdf. Logan, A., & Weller, C. E. (2009). Who borrows from payday lenders? An analysis of newly available data. Center for American Progress. Retrieved from https://cdn.americanprogress.org/wp-content/uploads/issues/2009/03/pdf/payday_lending.pdf. Ludwig, S. (2015). Credit scores in America perpetuate racial injustice. The Guardian.com. Retrieved from https://www.theguardian.com/commentisfree/2015/oct/13/your-credit-score-is-racist-heres-why. Schmall, T., & Wolkowitz, E. (2016). Financially underserved market size study 2016. Center for Financial Services Innovation. Retrieved from https://cfsinnovation.org/wp-content/uploads/2016/11/2016-Financially-Underserved-Market-Size-Study_Center-for-Financial-Services-Innovation.pdf. Ziegler, T., Reedy, E. J., Le, A., Kroszner, R. S., Zhang, B., & Garvey, K. (2017). The 2017 American Alternative Finance Industry Report. Retrieved from https://polsky.uchicago.edu/wp-content/uploads/2017/10/AmericasAltFinReport.pdf.